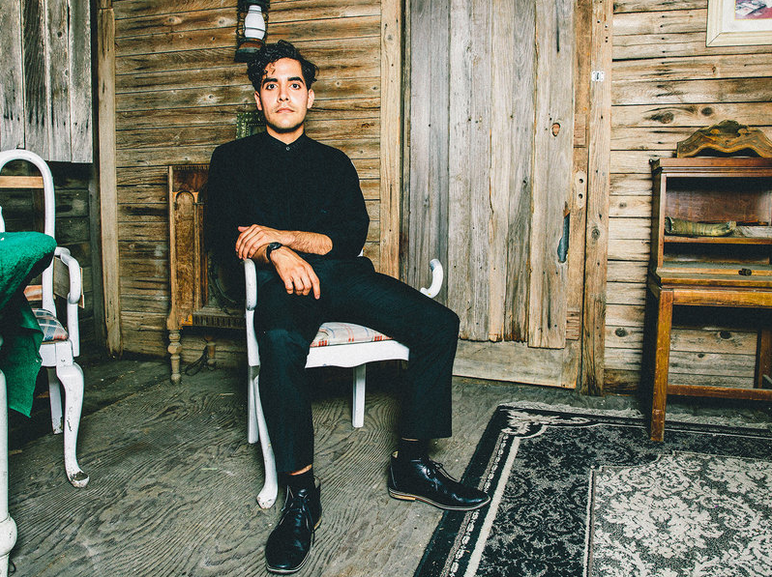 Neon Indian's Alan Palomo to Appear in Terrence Malick's "Song to Song"
Critically acclaimed director Terrence Malick (Badlands, Days of Heaven) will be releasing his newest film this week, Song to Song, starring Ryan Gosling and Rooney Mara. The film is set in Austin, TX and will feature a speaking role our very own Alan Palomo of Neon Indian. The film also features Iggy Pop, Lykke Li and Patti Smith. Neon Indian Premiere Karaoke Video for "Annie"
Watch Alan Palomo of Neon Indian perform their standout tune, "Annie," from their latest album, Vega INTL. Night School, in a VHS-saturated video that anyone can sing along to. Premiered on Noisey, the video is the result of Palomo's desire to tell a narrative within a late-80's inspired Karaoke world. Neon Indian covers Prince's "Pop Life"
In the wake of Prince's passing, tributes to the iconic artist have been pouring in from musicians like Bruce Springsteen, Madonna, Stevie Wonder, and now Neon Indian. 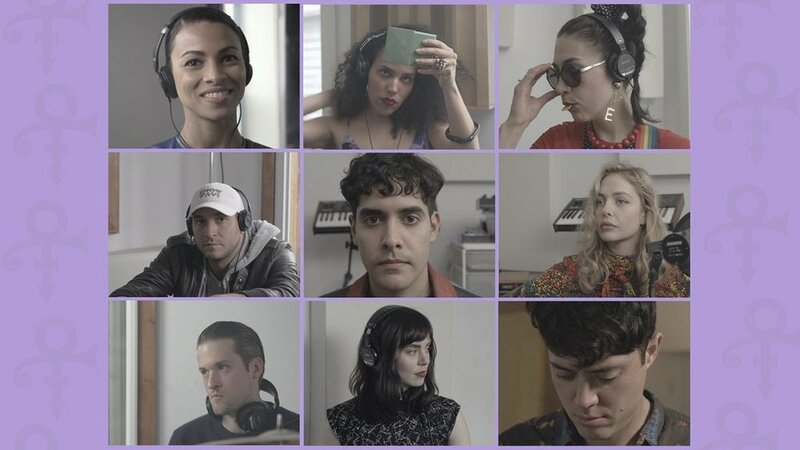 Neon Indian's Alan Palomo gathered a number of his friends and collaborators to try their take on the classic, "Pop Life." In the live-studio session released today on Pitchfork, you can't help but notice the love this group has for the song, the man, and of course each other. 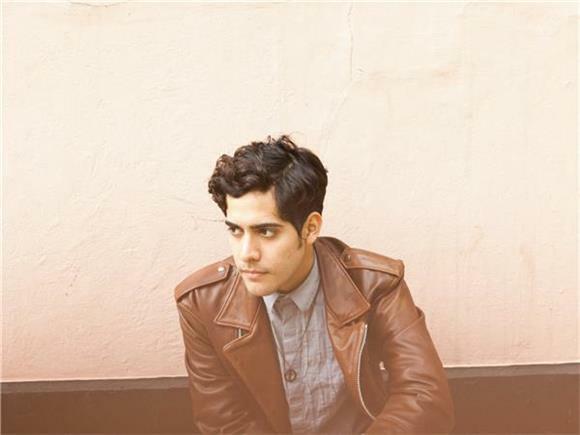 Neon Indian's Alan Palomo remixes "Crime Cutz" by Holy Ghost! While we wait for Holy Ghost! to release their upcoming EP Crime Cutz, Neon Indian's Alan Palomo has remixed the title track. The remix premiered through Stereogum and features an extended 7 1/2 minute version of the track perfect for the weekend. Neon Indian is back at it again with another surreal video. 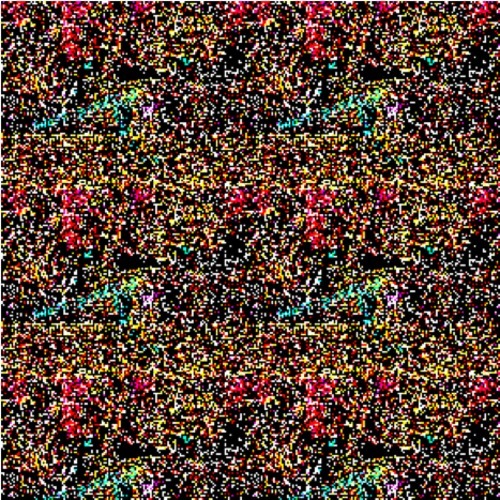 This time, the video is for "Techno Clique," a dance-worthy track from the band's recent album Vega INTL. Nigh School. Neon Indian just released a behind the scenes look at the making of the music video for "Slumlord Rising." Alan Palomo, who performs under the moniker Neon Indian, self-directed the music video, an accomplishment that had been a longtime goal of his. 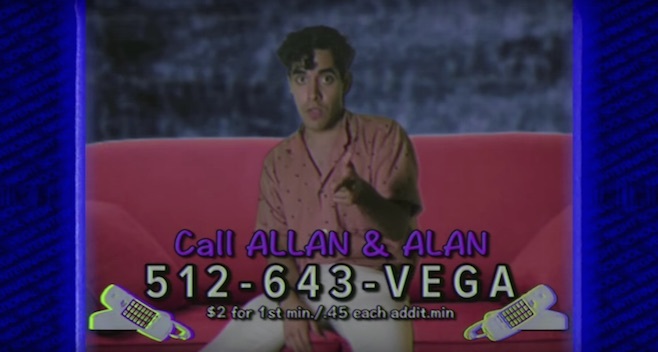 Back in November, Neon Indian released a quirky commercial for his Hotline - (512) 643-VEGA - and now he's back with a second round of retro goodness. Neon Indian teamed up with Pitchfork and GoPro for their latest installment of GP4K, a video series captured exclusively with the GoPro HERO4 Black. 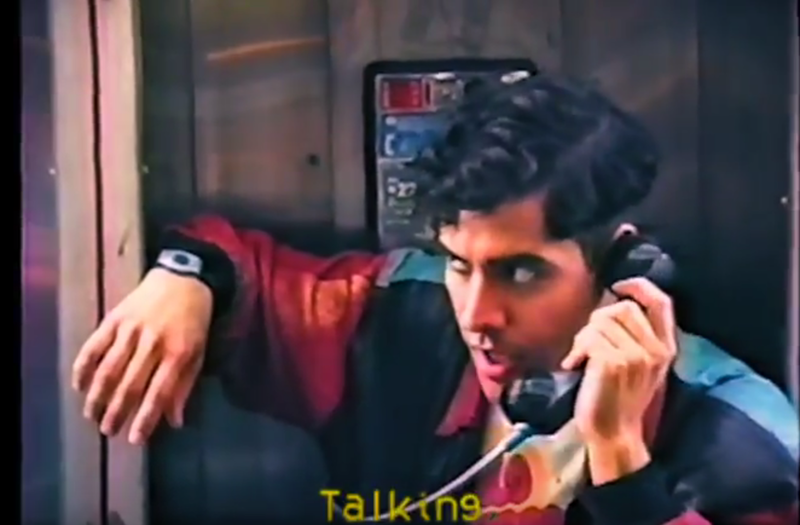 Take a trip back to the '80s with this very retro commercial that Neon Indian recently released for his hotline. The commercial features "teen heartthrobs" Alan and Allan, Alan Palomo and Allan DeBarge, that are billed as "the perfect boyfriends," which is more than enough reason to give the hotline a call. Neon Indian on NPR Music's "All Things Considered"
Neon Indian talks growing up in a music-filled household, studying film in college, and his combination of film and music as seen through his album VEGA INTL. Night School on NPR Music's "All Things Considered." To celebrate the release of Neon Indian’s album VEGA INTL. Night School, we are teaming up with OAK + Neon Indian to giveaway three customized OAK Rider Jackets and vinyl copies of the LP! (rough), a podcast by Yours Truly, recently spoke with Neon Indian, or Alan Palomo, about the story behind his track "Street Level." Although you really need to listen to the podcast to fully understand where "Street Level" comes from, know that the story involves a lost laptop, drunken night, and Alan Palomo "googling" himself. 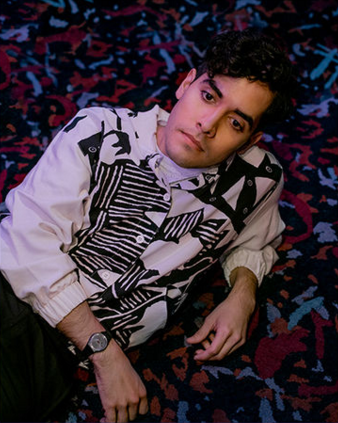 Neon Indian Releases New Album "VEGA INTL. Night School" + Mini Movie "Slumlord Rising"
After an unintentional four year hiatus Neon Indian has finally released the long awaited VEGA INTL. Night School! Taking queues from a former project known as VEGA, Neon Indian has dropped an album that pays homage to the sounds of the early 80's with driving synths, disco beats and dubby psychedelic vibes. Closely following the album's release was the reveal of "Slumlord Rising," a eight-and-a-half epic mini movie which perfectly weaves a tale of 80's night life debauchery carrying over all the "night school" themes Palomo speaks to on VEGA INTL. Night School. Neon Indian took to Zane Lowe's Beats1 show on Thursday to premiere "The Glitzy Hive," the third single off his upcoming album VEGA INTL. Night School which is set to release this Friday, October 16th. Neon Indian Announces New Album "VEGA INTL. Night School & New Song "Slumlord"
On August 14th, Neon Indian announced his long awaited album VEGA INTL. Night School while simultaneously dropping the second single "Slumlord." VEGA INTL. Night School is slated to drop on October 16th. You can pre-order the double LP which is cut on translucent yellow vinyl at the Mom + Pop’s store, or treat yourself to a special pre-order bundle here . The single is available now as part of the official 'The Music of GTAV' soundtrack on iTunes. The EP will feature remixes of previous album tracks from Twin Shadow, Actress, Patten, Optimo, and Boyd Rice.